Peter Pilotto for Target's Lookbook Has Been Released, But Will the Collection Be a Smash Hit? You may have heard of Peter Pilotto before the collaboration with Target was announced this fall, but chances are you never gave the label much thought. Unless you sit on the CFDA, Peter Pilotto probably flew under your radar despite the brand's outrageous signature prints. But alas, now a Target collection is here (or will be, come February 9). Which means Pilotto is going to get some buzz. Target's designer collections have paved the way for high-low collaborations with retailers such as H&M and Gap, creating a veritable fashion movement. We raid these chains, stripping the shelves bare. We collect and obsess. Designer clothing at affordable prices? Yes, please! The chain collaboration has been instrumental in making Rodarte, Proenza Schouler, and Phillip Lim into household names. But does every Target collab result in wild success for the designer in question? Not so much. How many of us truly remember Tucker by Gaby Basora or Erin Fetherston for Target? Luella, the inaugural label for Target's Go International campaign, is now defunct. Signing a contract with a low-end retailer does not equal an automatic launch into the public eye for high-end brands. So what does make a designer memorable long after the one-off pieces have been swiped from shelves and put up for sale on eBay? It's a perfect cocktail of publicity, originality, wearability, and celebrity support. If a label is already a huge household name, success is easy to achieve. 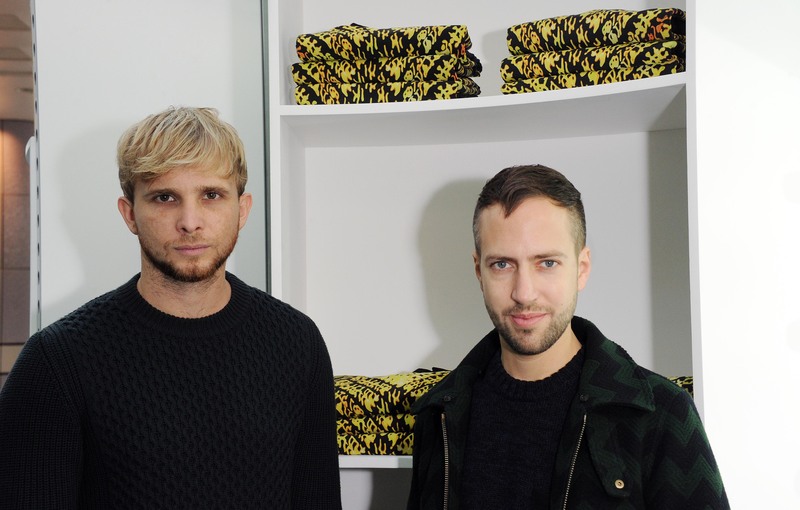 But for a brand like Peter Pilotto, virtually unknown outside of fashion, it can be trickier, especially in a market that may very well be saturated. Pilotto's Target collection has the capacity to do well. We've seen the lookbook. These pieces are a streamlined take on Pilotto's collections, full of bright surfer prints anchored by sharp silhouettes. They offer an easily digestible take on the high fashion seen on the runway, while still providing something new and different for the average consumer (the collection includes slip-on sneakers and swimwear, both unexplored terrain for Pilotto). In order for the Target line to permanently increase Peter Pilotto's name recognition, the collection needs to be a smash hit. The most successful Target collaborations feel like the designers and feature their signature concepts for real world prices. Prime examples are the colorful bustier tanks from Proenza for Target or the spiderweb knits from Rodarte. Pilotto's line does have bright prints, but if it seems more like Target than Pilotto, the collection will be utterly forgettable.